Nationstar Mortgage Holdings — which owns and operates end-to-end real estate platform Xome — announced two executive appointments effective January 9, 2017. Mihir Patel, who was most recently an enterprise and operational risk executive at Capital One Bank, joined Nationstar as the company’s new executive vice president and chief risk officer. 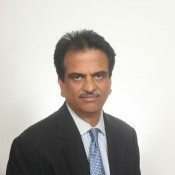 The previous chief risk officer at Nationstar, Ramesh Lakshminarayanan, will be shifting roles; his new title will be chief business and analytics officer, and he’ll continue reporting to Nationstar Chairman and CEO Jay Bray. “Mihir is a great addition to our team, bringing direct experience with highly-diversified and complex financial institutions, and critical knowledge of the regulatory environment,” said Bray in a statement. “As Nationstar continues to deepen customer relationships, Mihir will be an important partner in ensuring that risk management continues to be a key priority for our business. “As we strive to become the benchmark in service for the mortgage industry, data and analytics must play a critical role in helping us to better understand our customers, what they need and where their pain points are,” Bray added.